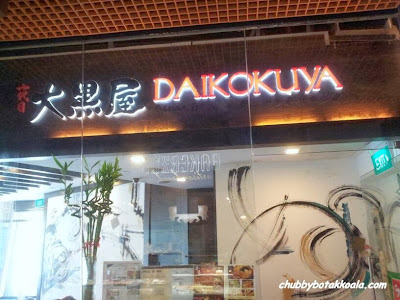 [CLOSED] Daikokuya Ramen Dining – Tonkatsu or Shoyu Ramen ?? In the last few years, it seems that a lot of Ramen House sprouting around in Singapore. The positive side of this, we are getting more quality ramen sold in Singapore, and is satisfying LD's cravings for good quality ramen that she had tasted in Hawaii. 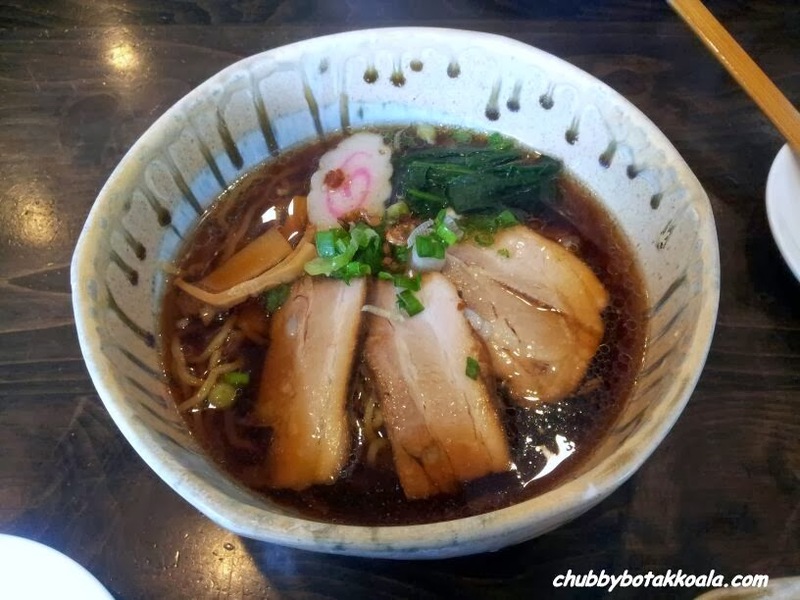 Daikokuya Ramen is one of the new ramen shop that open in recent years and offers a variety of regional ramen specialities such as Sapporo, Tokyo & Kyushu-style ramen in a contemporary and relaxing atmosphere. Located at the entrance of myVillage in Serangoon Garden, the store can be consider small as it only can accommodate less then 30 customers. The surrounding glass wall allowed passerbys to check out the delicious food served in the shop. However, this glass wall also works to the disadvantage of the shop. The shop location seems to bear the brunt of direct afternoon sunlight and turn the temperature inside the shop up. The central aircon is insufficient to cool down the dining area which we experience during our visit. For ramen, I normally like my soup base to be solid and robust, therefore Tonkatsu Cha Shu Ramen ($15.90) was my pick. 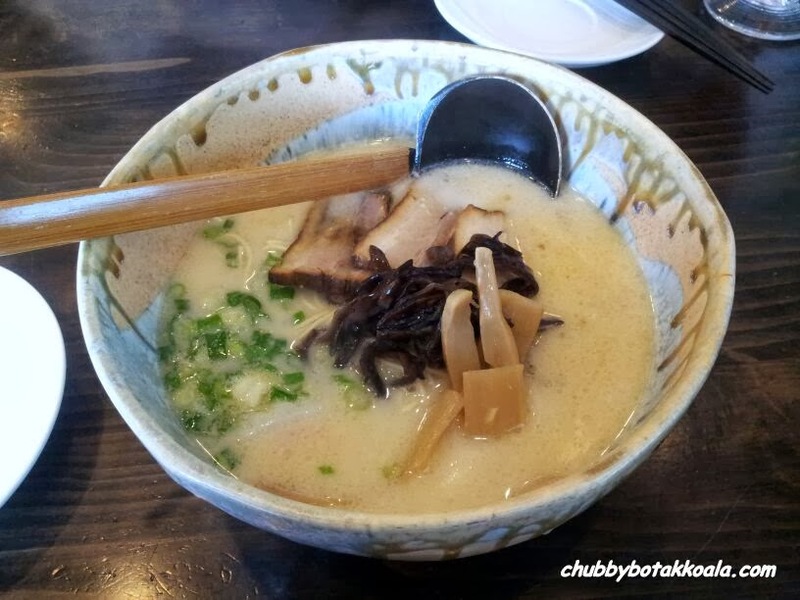 The ramen is springy (QQ) and the Cha Shu, although it is quite lean, it turns to be very tender and flavourful. It shows that the Cha Shu has gone through a long cooking process and well marinated. The broth has a white milky colour, thick with a sticky collagen feeling coming out from the bones. For side dish, we ordered Mentaimayo Gyoza and Leek Mayo Gyoza ($6.80 each). 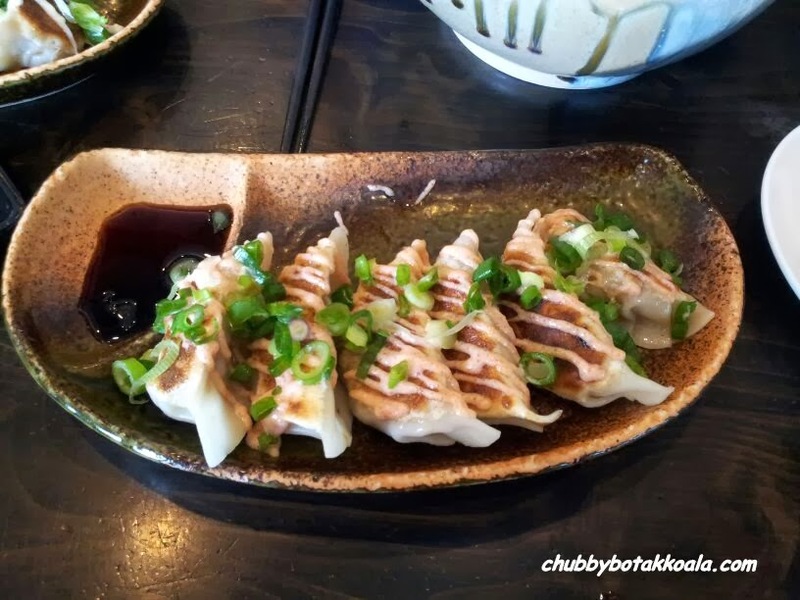 Both the gyoza nicely pan fried until crispy on the outside. 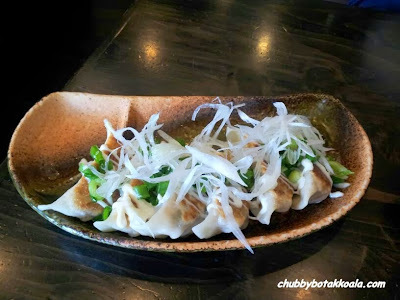 I find that Japanese Gyoza normally has a stronger taste from the leek. The good thing about Mentaimayo Gyoza, it has salted cod roe toppings and mayonnaise that helps to cover the smell and give a nice salty creamy flavour. The service here is quite minimum. Although there are not many customer, it seems that the service staff is having problem clearing the table quick enough for the next round of customers and always slow in handling the customer order. Improvement is definitely needed in this area. Overall, we find the ramen here is good and consistent. However, it seems to be missing something to elevate the ramen to the next level. Avoid visiting this place during a hot afternoon, unless you like to enjoy your bowl of ramen while you're sweating. 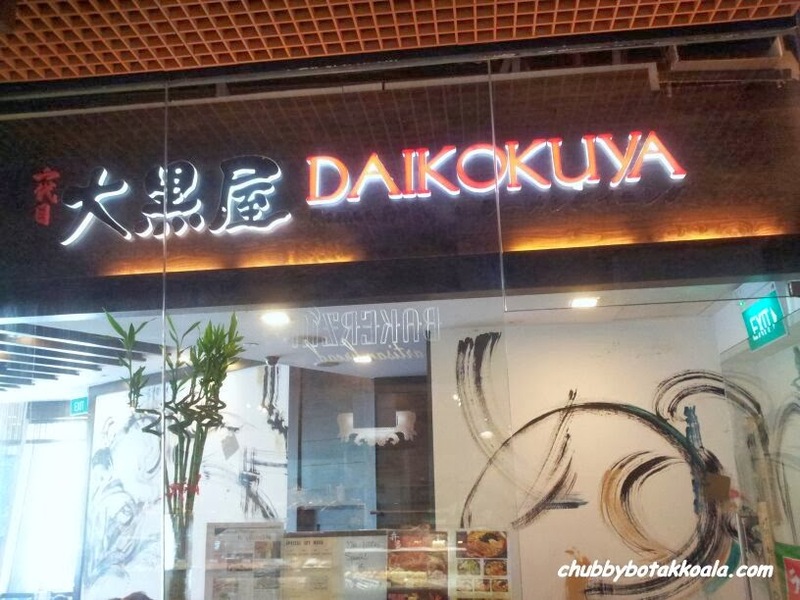 However on any other time, Daikokuya will be sufficient to satisfy your ramen cravings. Cheers!! For Other Branches, check out their Facebook Page. Note: Photos are taken using LD's Samsung Note 1. Fatboy's The Burger Bar ('Fatboy') is a home grown burger chain, founded with the promise of bringing burger evolution to Singapore burger lovers. In the recent years, Singaporeans palate for burgers has evolve due to the exposure of many top notch artisan burgers. We are no longer satisfied with ordinary fast food chains burgers, we expect, NO! we DEMAND better quality burgers. Filling the gap between upmarket artisan burgers and fast food burgers is Fatboy. Fatboy offered reasonable priced burgers; different type of patties such as chicken, lamb and beef; and best of all freedom to build your own burger. In short, the menu in Fatboy is similar to typical American Diners, of course with a slight 'naughty' local twist included. As I was not that hungry that night, I ordered Wimpy Beef ($11.50). This is actually a single patty version of their best creation Fat Basterd. The chuck patties are topped with bacon, cheddar cheese, a fried egg and homemade BBQ sauce. The patty is thick and juicy. The bacon and fried egg gave a different texture to the burger and the BBQ sauce just provide a nice finish. The burger has the nice thickness to hold with both hands and bit it. Delicious!! Each burger are served with thick fries, and only a single slice of tomato and lettuce leaf. The fries crispy and moist inside, however the portion is quite small and tasted quite ordinary. The tomato and lettuce is merely there for decoration, I hope they can actually give more salad for a more balance presentation instead of looking quite stingy on the plate. Meanwhile, Little Devil had Swiss Shroom ($13). Fatboy use sauteed shitake mushrooms instead the normal portabello, melted Swiss cheese, with garlic aioli to accompany healthier whole meal bun. The patty is thick and juicy, the shitake mushrooms gave a stronger mushroom flavour and the garlic aioli just bind the whole ingredients together. For the heat, LD add jalapeno to the burger and pickles to balance the richness in the burger. Yummyyy !! To add some healthy veggies to complement our burger, we decided to order Chicken Caeser Salad ($11.50). The Romaine Lettuce is just fresh and crisp. The chicken fillet is flavourful, juicy and succulent. The Caesar dressing is lighter than the usual, however it just provide a light and refreshing salad. One item in a drink that get our approval is Lemon Lime and Bitter. Although it came in the bottled Bundaberg from the Australian manufacturer, we are just glad we had something refreshing to enjoy with our burger. The atmosphere in Fatboy is very casual. They have TVs that is showing the EPL games, so it is a good destination when the games are on during the weekend. Service is very minimum and inconsistent between the each service staff. It seems that they are more a part timer, which lack the proper service training. Luckily Fatboy does not charge customer for service. Overall, Fatboy deliver a good, solid and flavourful burgers. Based on the food that we have tasted so far, the rest of the items on the menu should be quite good. If you can ignore the inconsistent of their service level, Fatboy is the place to go for good-priced American Diner food. Cheers!! For location of Other Branches, check online. I am … is a café / bistro that just recently open near the popular Arab Street. Located off Haji Lane, facing the Golden Landmark Hotel. The founders' idea of I am are based on their love of Europe, especially Amsterdam. Thus they decided to import the atmosphere to Singapore with the concept of Halal European Influence Cafe. We actually found this place by accident while we were looking for a place to catch up with our group of friends on a Friday night. Apparently most of the café around the area either close by 11pm or the one that open late normally serve Nargile (Turkish water pipe) which we find a turn off especially as we don't smoke. So what attracted us to I am is that they open late, they served cakes and we also realised that they serve a extensive list of mocktails other than the regular coffee and tea based drinks. The mocktails are good for us as Little Devil and I are both on alcohol free diet temporary. For cakes, we had Rainbow cake and Chendol Cake ($8.90 each). Rainbow cake is one of the latest trend where the cake has seven different colour / layer with cream in between. Each slice of the cake looks attractive due to the bright colour in it. The Chendol cake is an interesting concept because it incorporated the local flavour into a cake. Both cakes scored in terms of the attractiveness and color, however we find both of the cake were slightly dry. The chendol on the chendol cake has also hardened, however the taste and flavour are still good. In fairness we had the cake around 11pm and the cakes must been there from opening this morning. For the mocktails we had, Virgin Mojito, Twisted Sister and Ignite Sunset ($6.90 each). The virgin mojito has a clear and refreshing look to it. The combo of mint, tangy lime and syrup on ice really deliver the freshness. The twisted sister and ignite sunset has pomegranate in the mocktails giving the effect of sunset in the glass. Both mocktails deliver a more fruity freshness in the drinks. Service staff is very friendly and efficient. The décor of this place is actually quite simple with a lay back and relaxing atmosphere. The square tables can be easily group together when you are in a big group of separated when you are in the smaller one. Overall, we find “I am …” is a good place for you to catch up with your friends any time during the day. The mocktails are excellent while the cakes can be improve. Although this place is still young, it has the ingredients to be a successful café. Cheers !! !